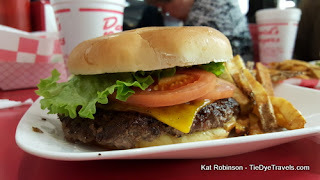 A New Burger Dynasty - David's Burgers in Arkansas. 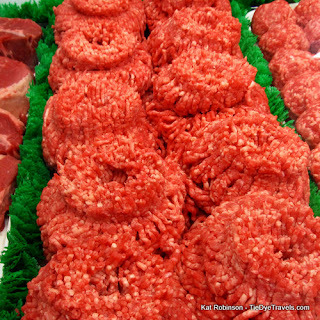 The Bubbus family has taken burgermaking back to basics and come up with a winning combination that's the new flavor of burgers in Arkansas. Let's check out David's Burgers. In just a few years, a single burger dynasty has reimagined what the perfect Arkansas burger can be, and celebrated it with locations across the state. 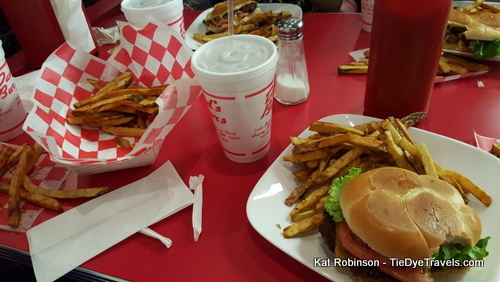 That dynasty belongs to the Bubbus family, and it started at CJ’s Butcher Boy Burgers in Russellvile. But chances are, if you know about these great burgers, they most likely come from one of the many locations of David’s Burgers. 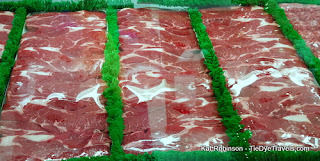 The original Butcher Boy is David Bubbus, Sr. 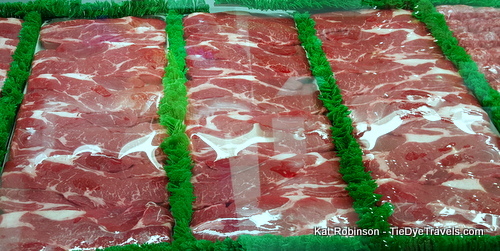 He became a master butcher at the age of sixteen, was managing his first restaurant (the JaMar in Pine Bluff) at the age of nineteen and running his own restaurant, El Matador in Pine Bluff, by the age of 23. 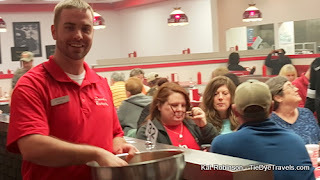 He’s worked hard to create a number of different restaurants, including the Chicken Country chain, since the 1960s. 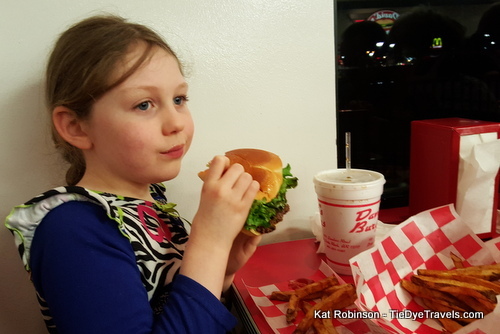 His son, David Bubbus, Jr., paid tribute to his dad with David’s Butcher Boy Burgers. While CJ’s, operated by the senior Bubbus’ brother in Russellville, got its start first, David Jr.’s operation has spread like wildfire. 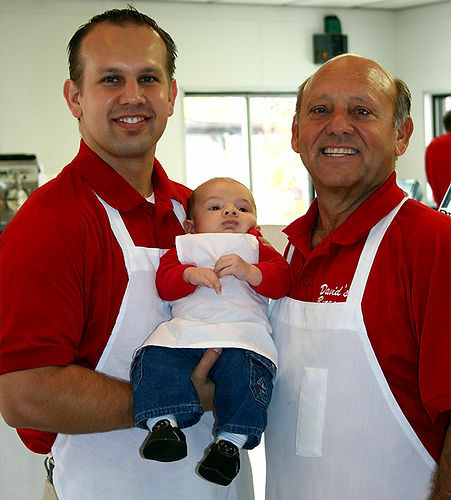 The first location opened in Conway in 2010, quickly followed by West Little Rock, North Little Rock and a burger wagon. Another Bubbus, Micah, opened his own food truck called Patrick’s Butcher Boy Burgers a few years ago in Fort Smith. Patrick’s, named after the elder Bubbus’ father, quickly became so popular it went brick-and-mortar. begins with just ground chuck. When you walk in, you can see the chuck there, whole and ground and patted into balls. When you order, the beef is slapped onto a griddle and flattened with a spatula. Fries are created whole from potatoes and a cutter right then. small piece of checkered wax paper. A staffer will come around and bring you hot fries from a bowl, fresh out of the deep fryer, and drop them onto that wax paper right in front of you. You can eat as many as you want. The burgers are all still fantastic, with fresh toppings such as tomato, lettuce, onion and pickle standard. You can add things such as a variety of cheeses, caramelized onions or mushrooms or even jalapenos to your burger, but it’s still essentially the same burger. Hungry? Get one with two patties. Even hungrier? Order one with three. 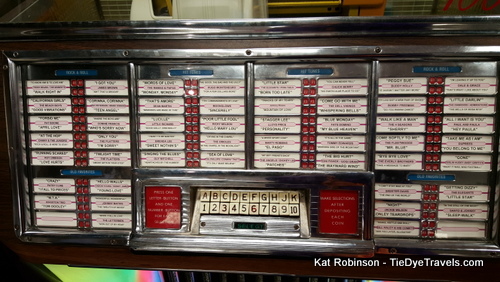 Each of the David’s Butcher Boy Burgers boasts a free jukebox, and they’re each decked out in red and white. And each burger has that same fresh and delicious flavor, a flavor that’s become eponymous with today’s Arkansas burger. 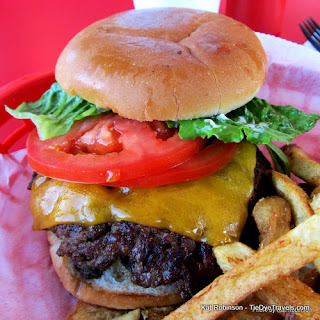 There are many locations of David’s Burgers today. You’ll find them all over the place. Check out the list of locations here. And don’t forget your napkin.